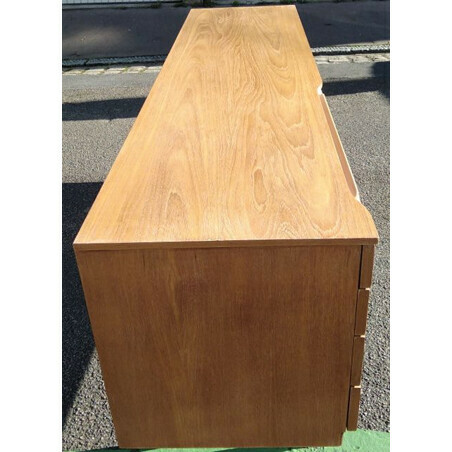 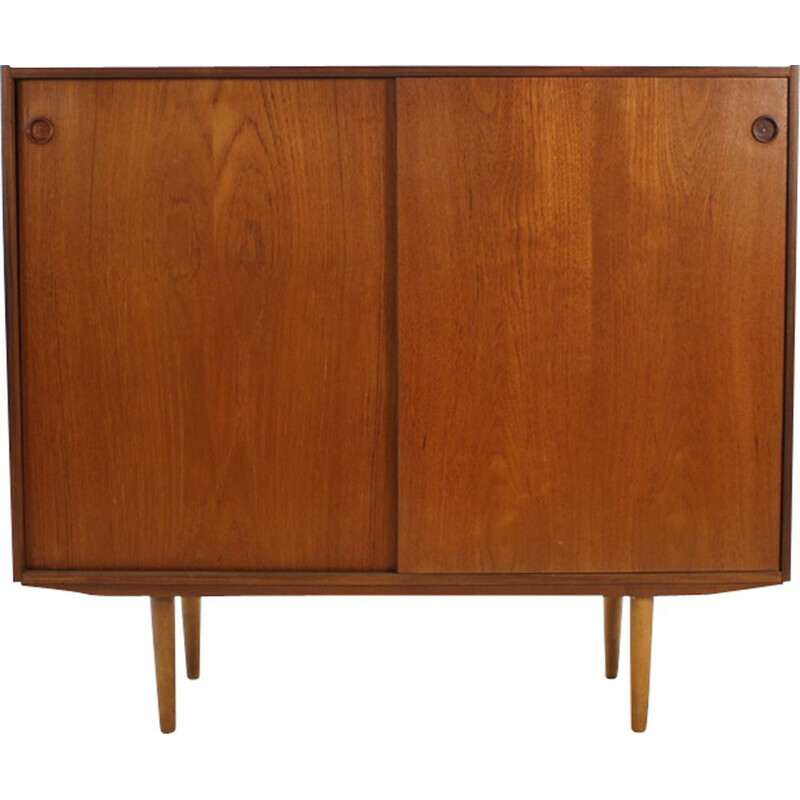 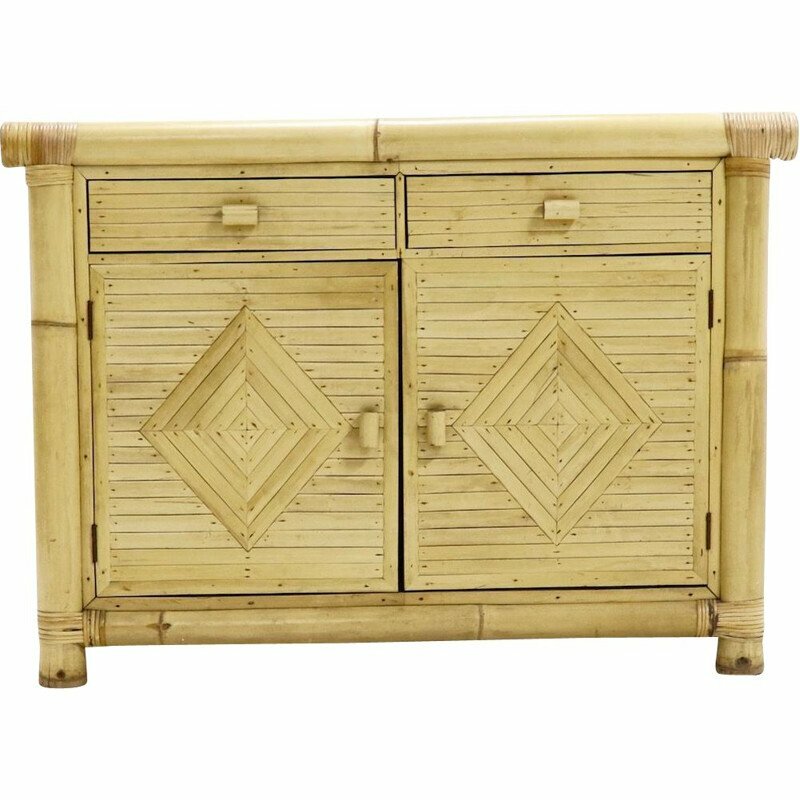 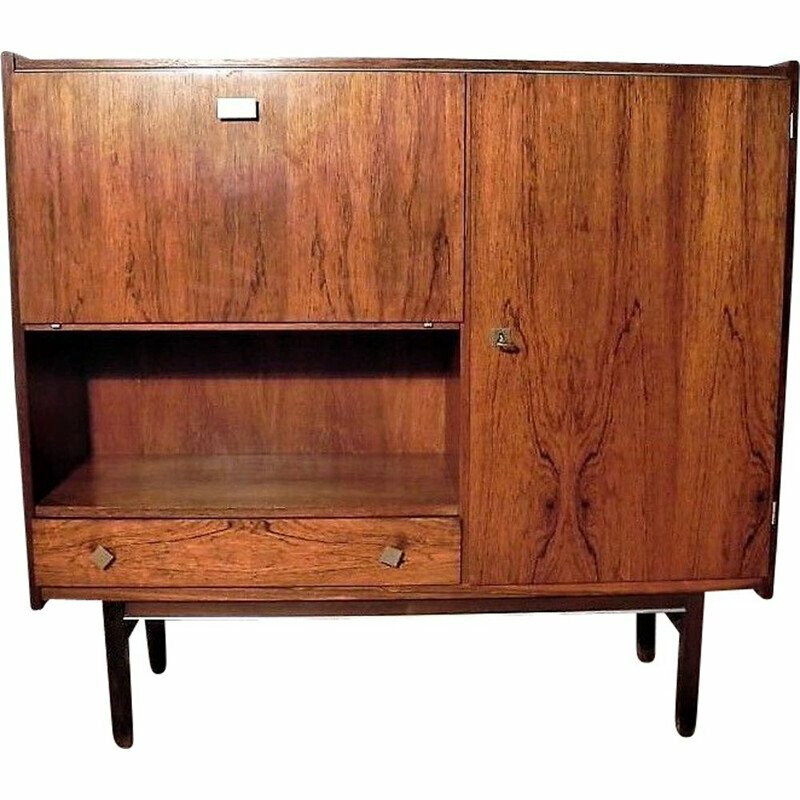 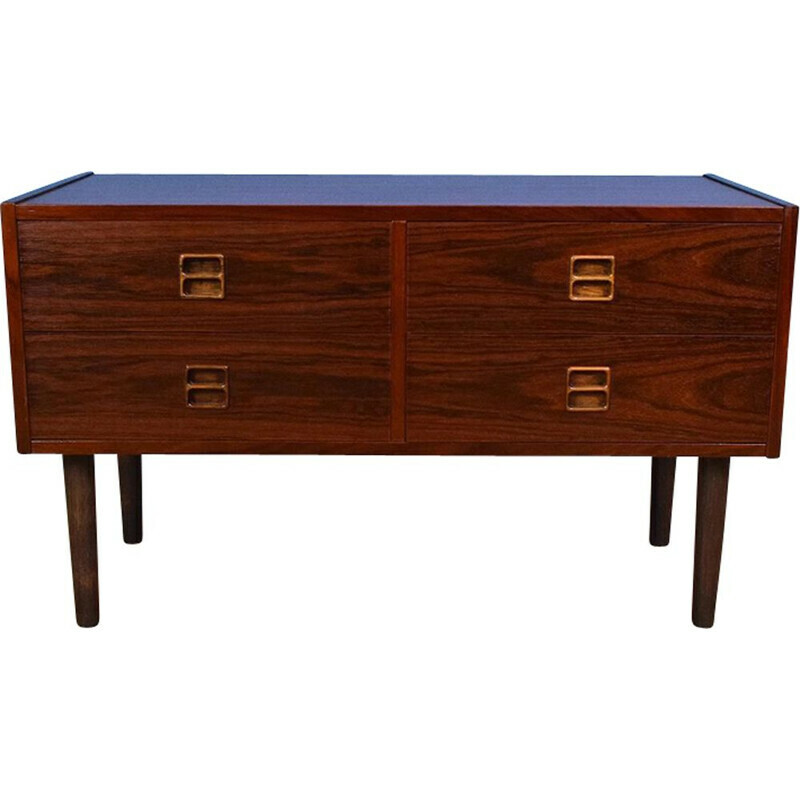 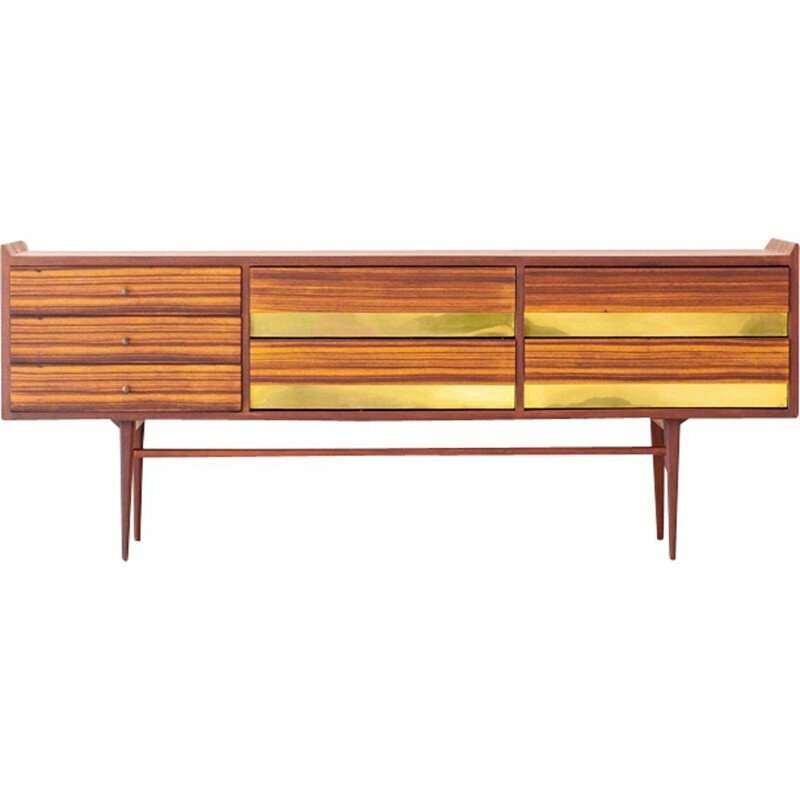 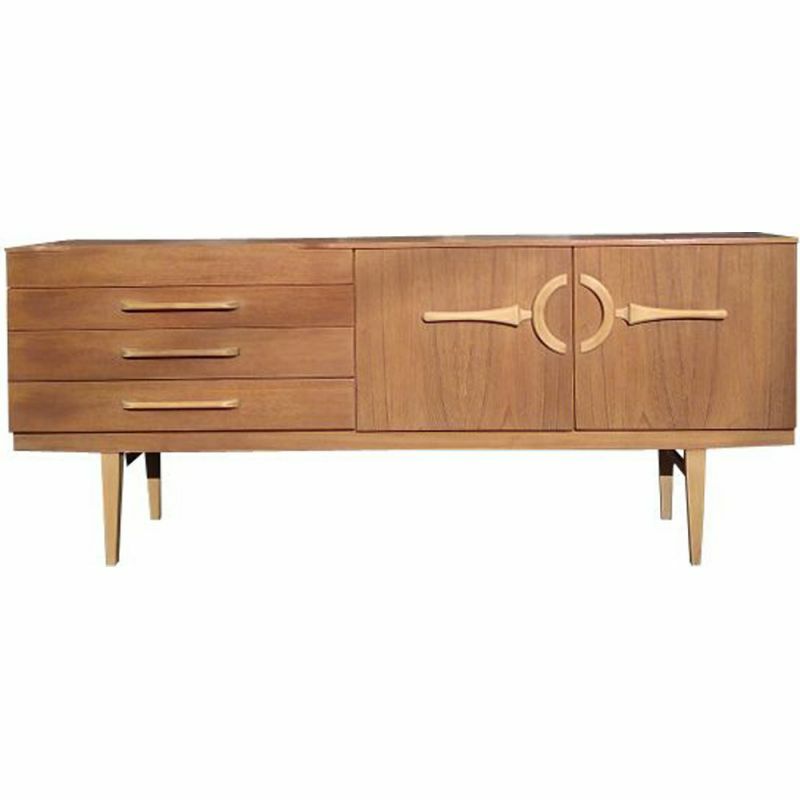 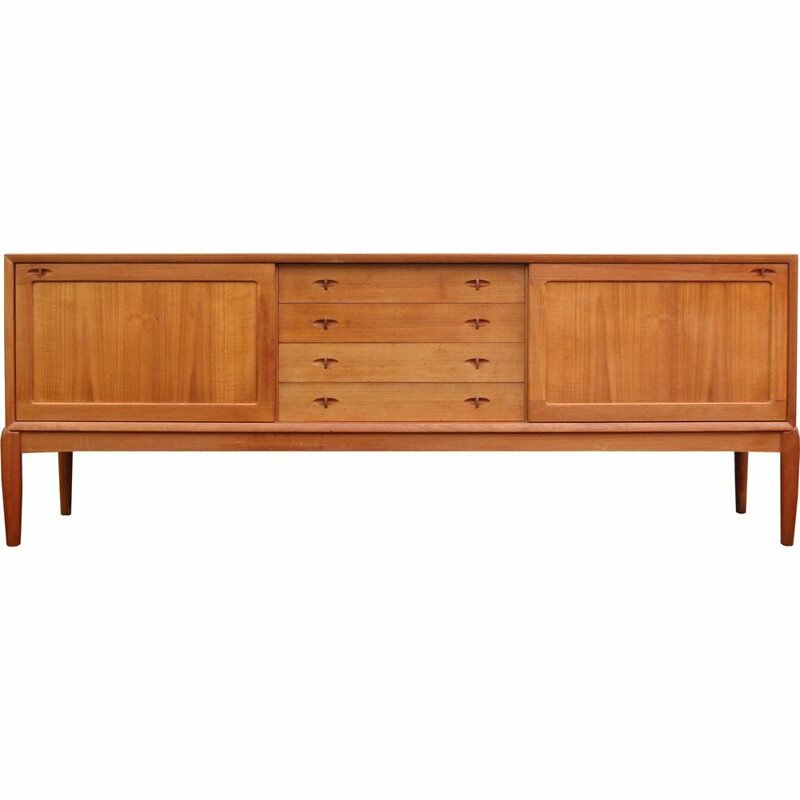 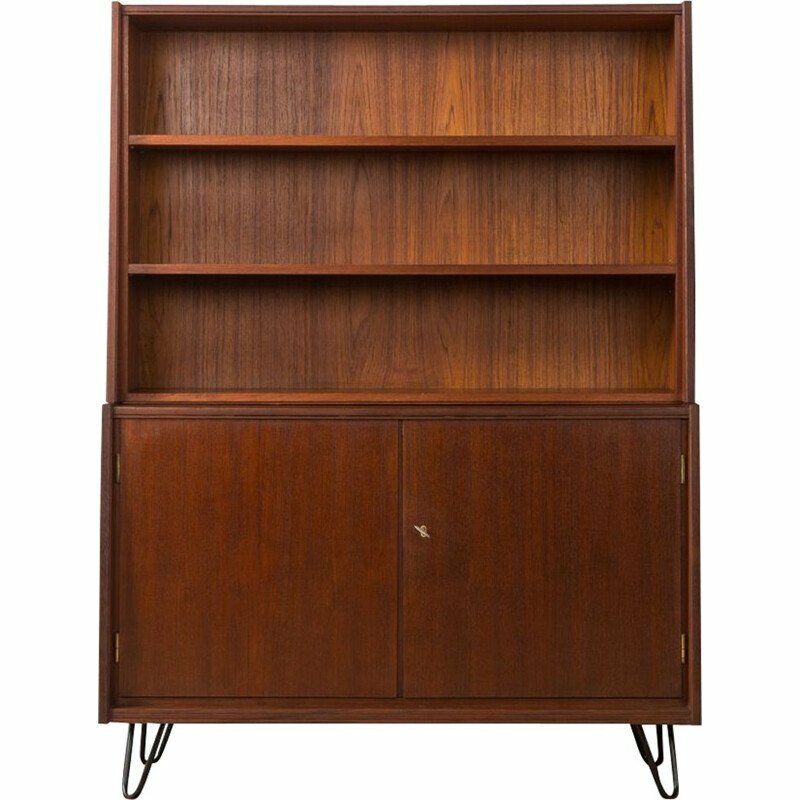 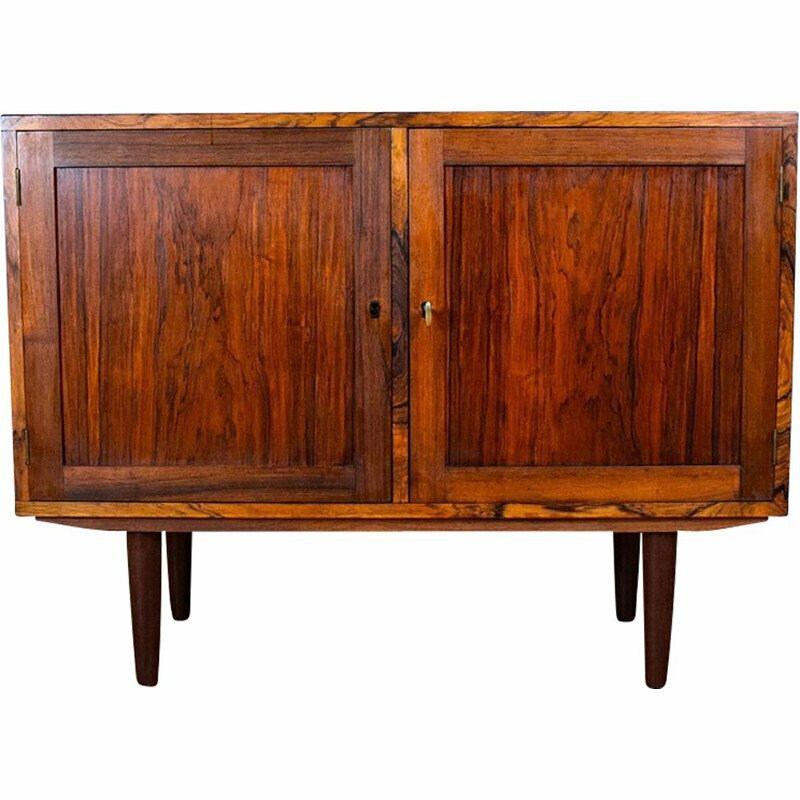 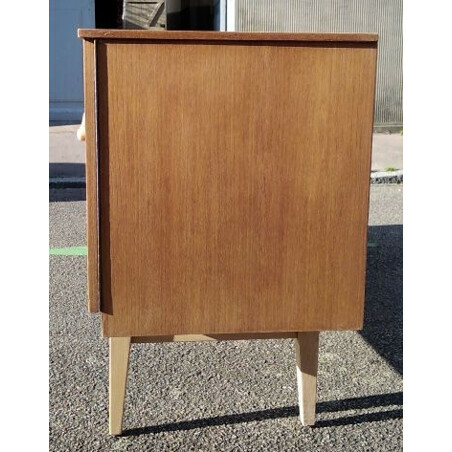 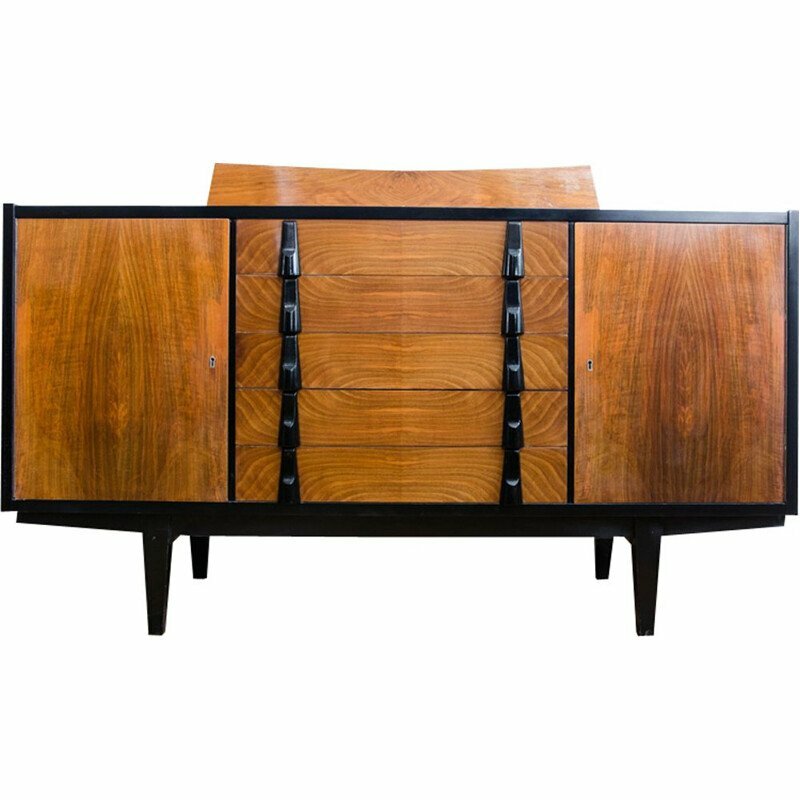 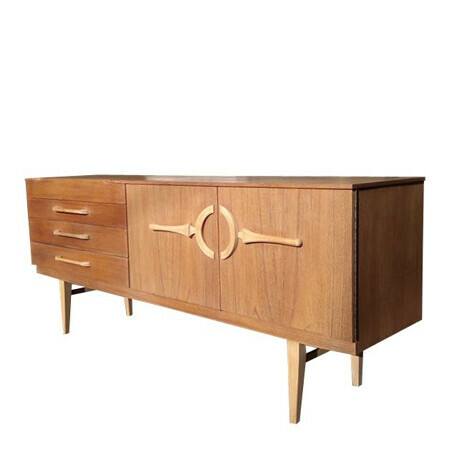 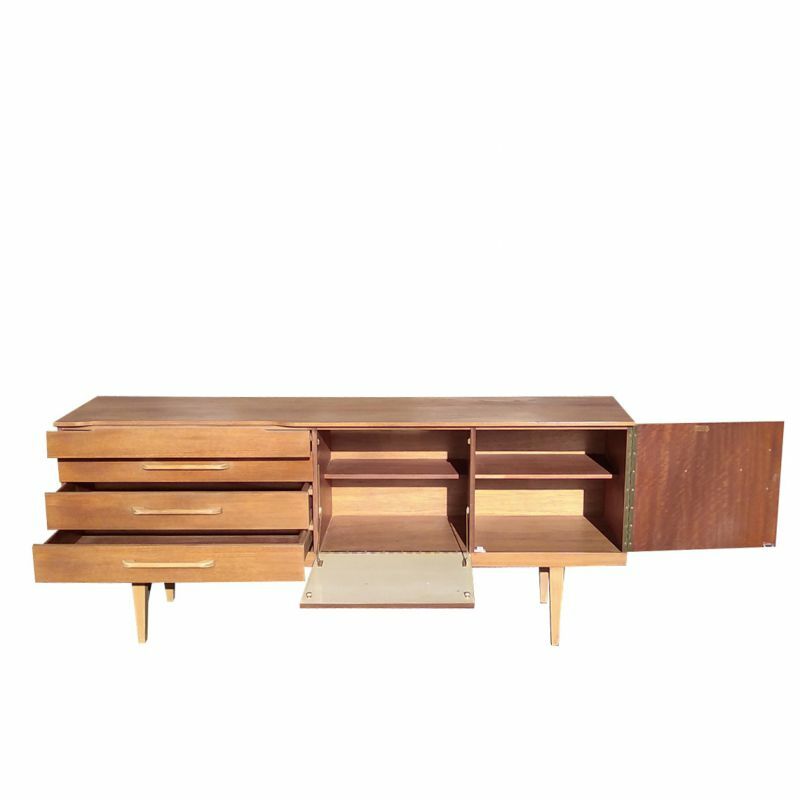 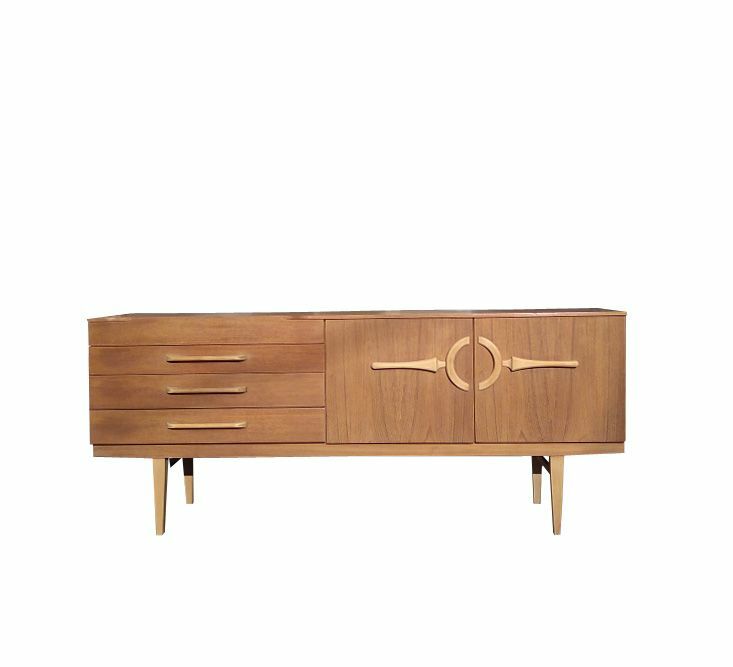 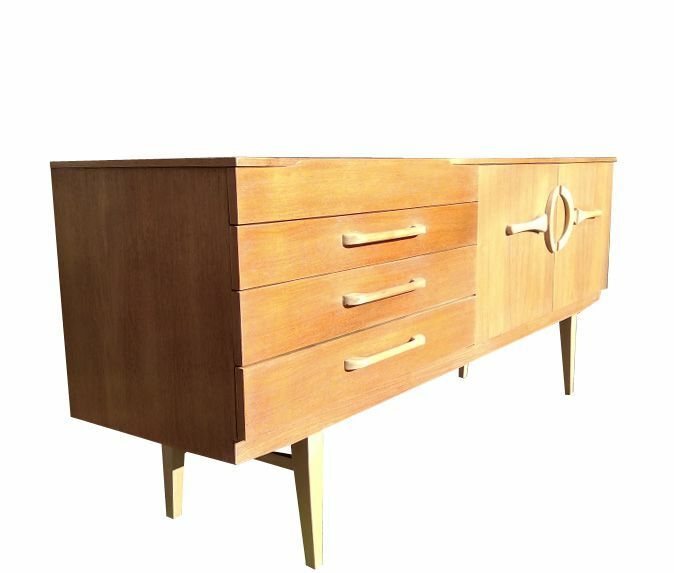 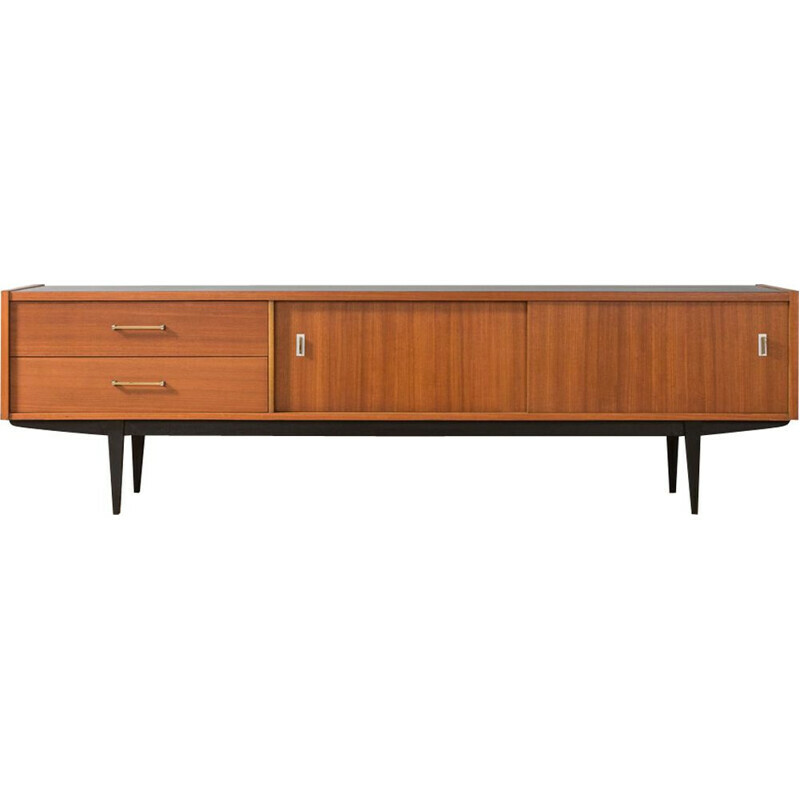 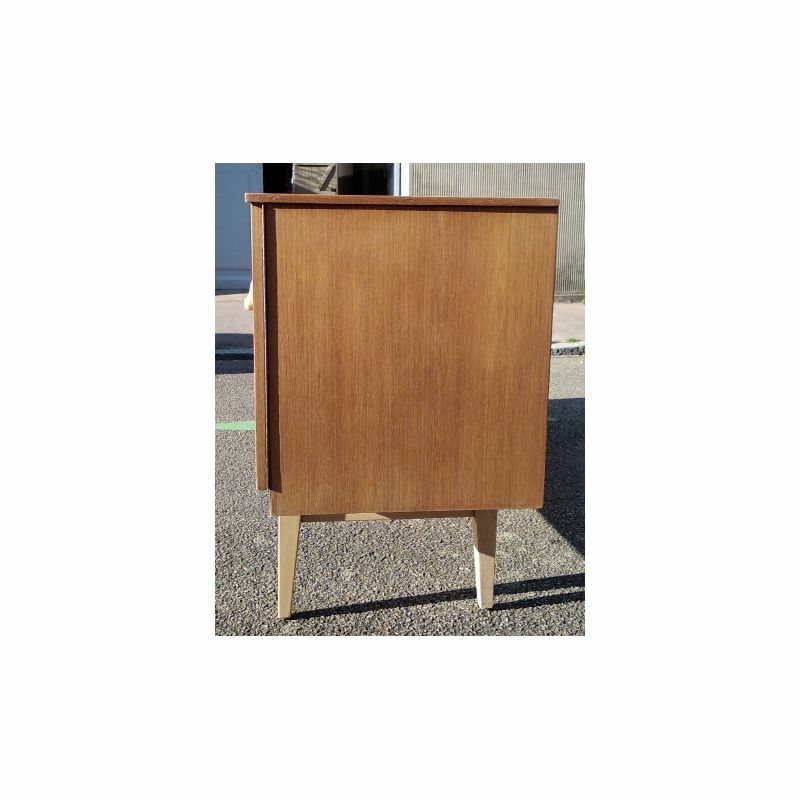 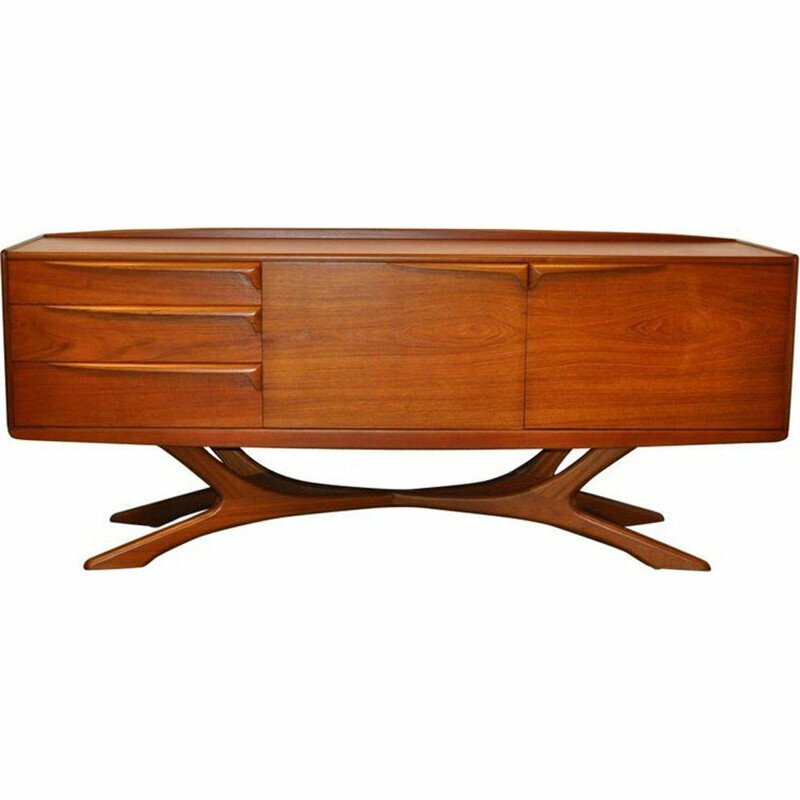 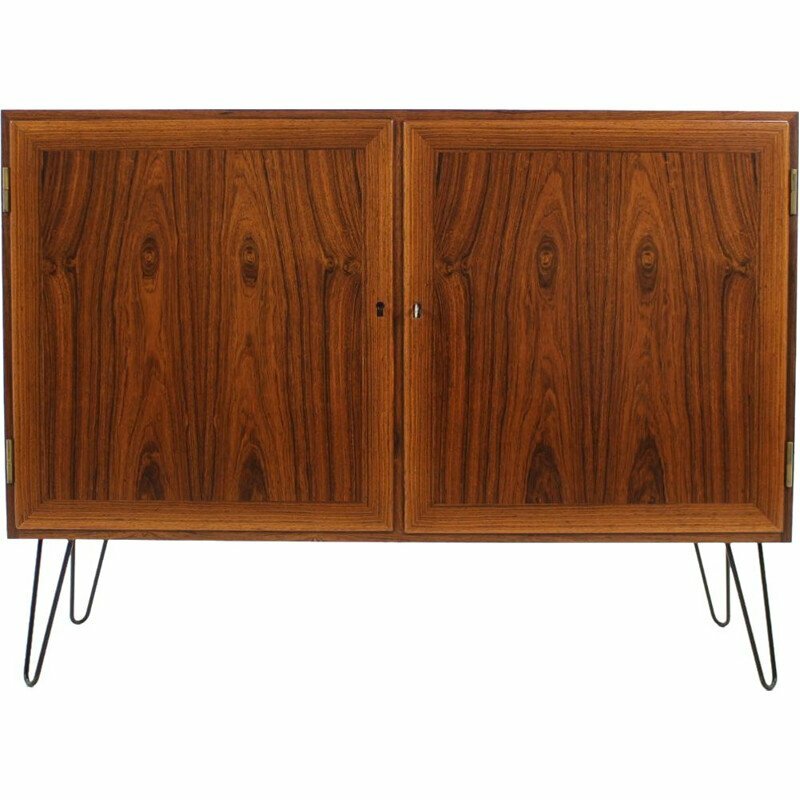 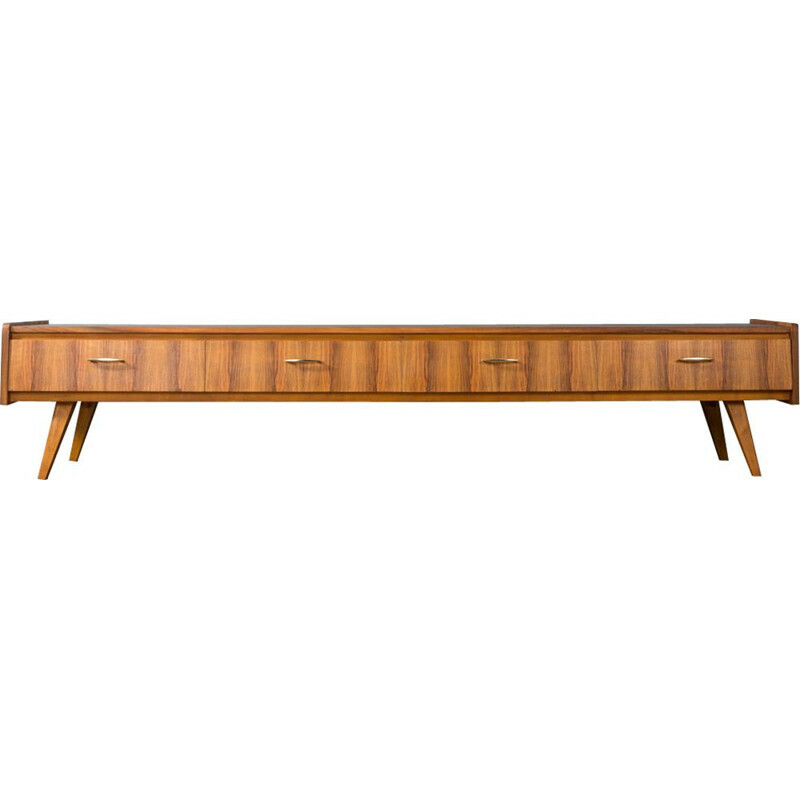 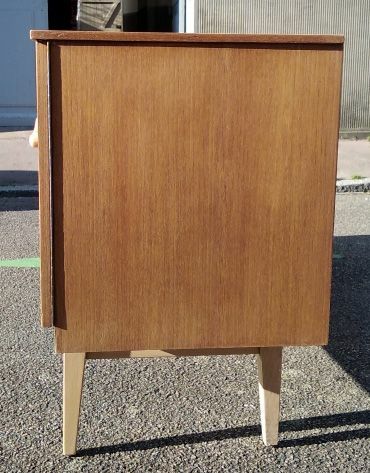 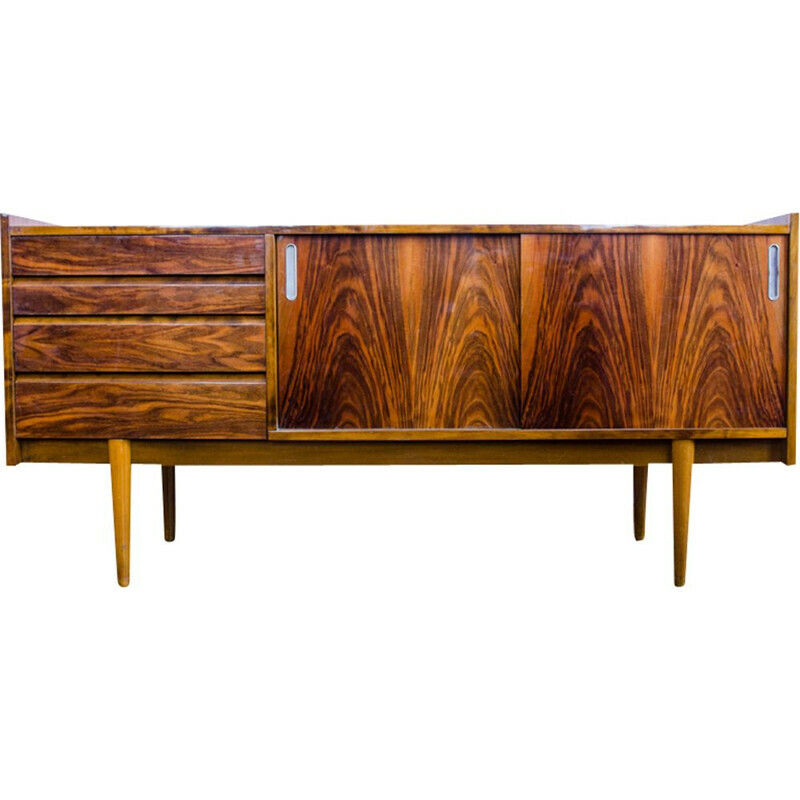 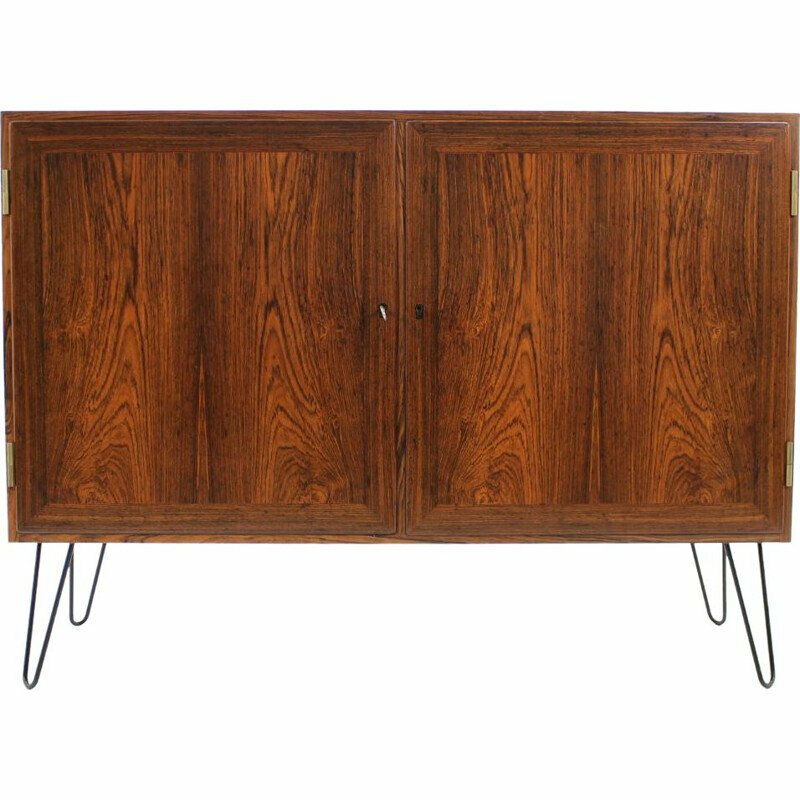 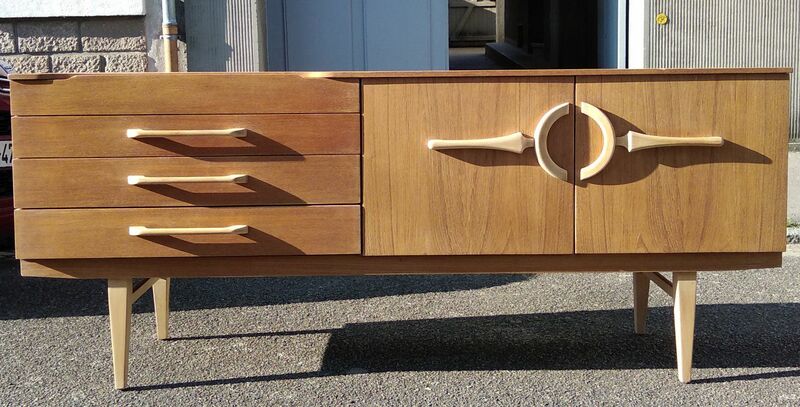 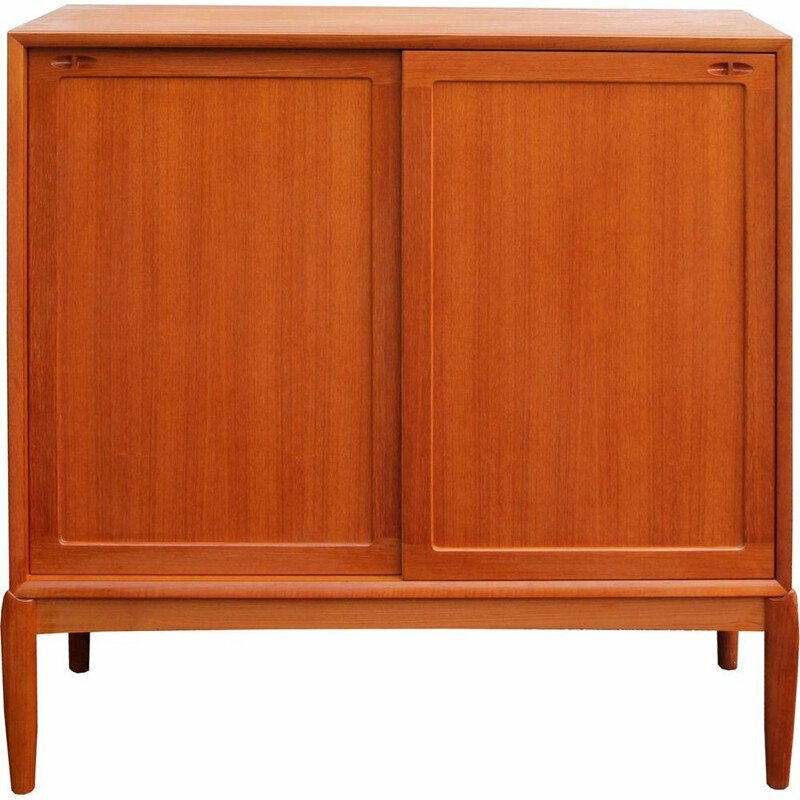 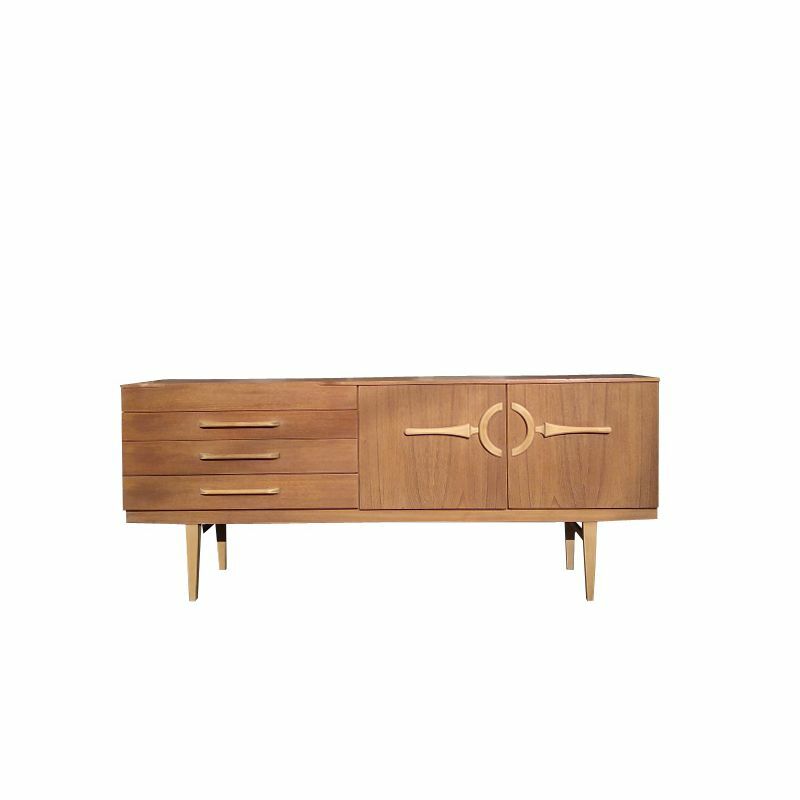 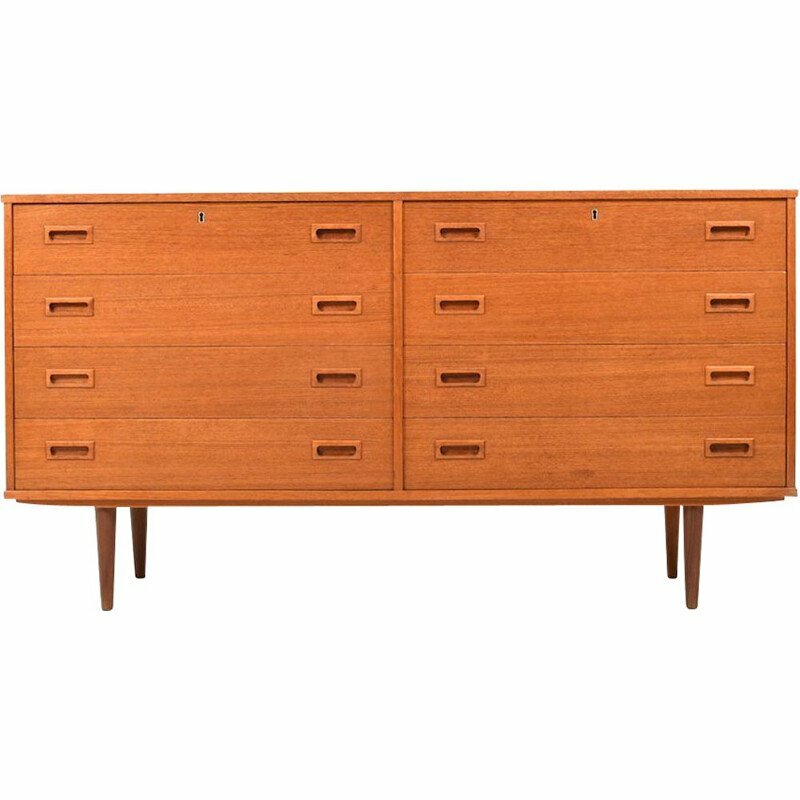 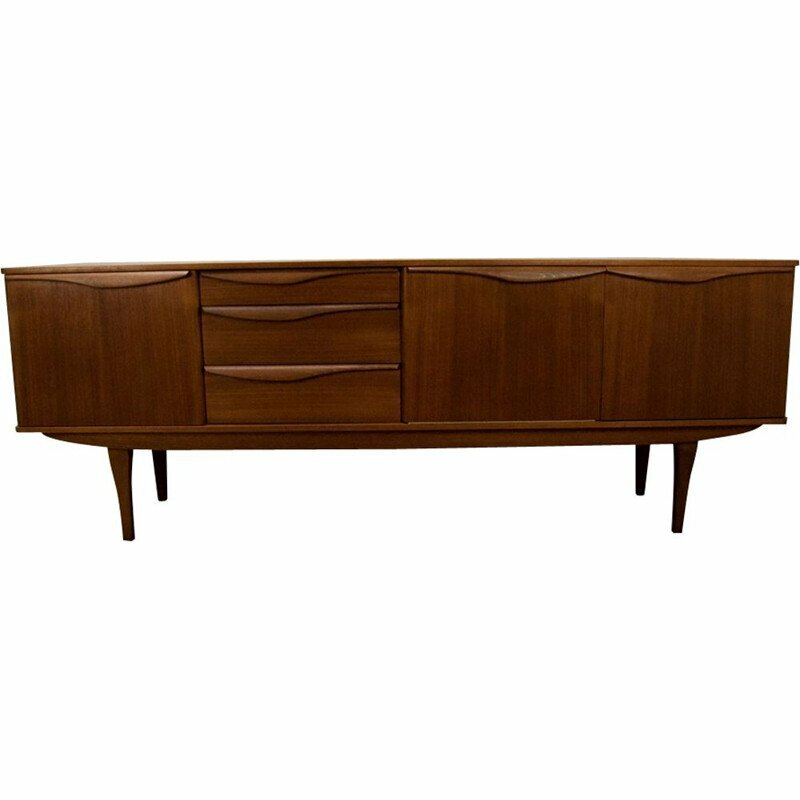 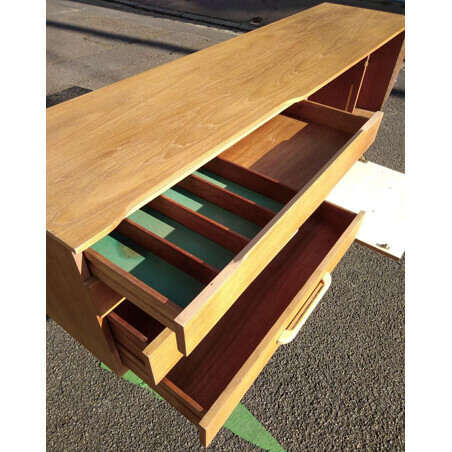 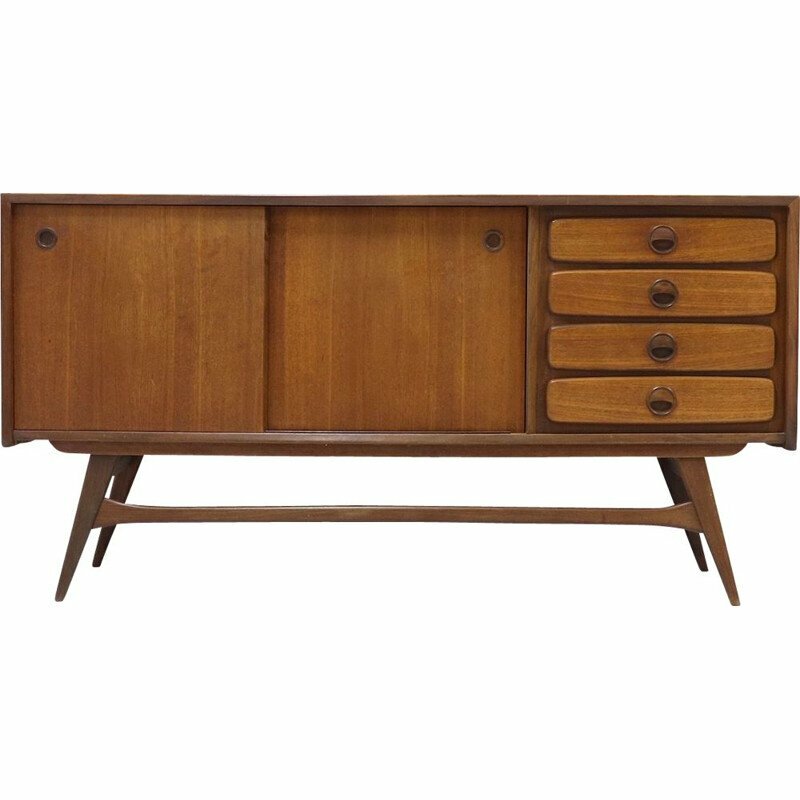 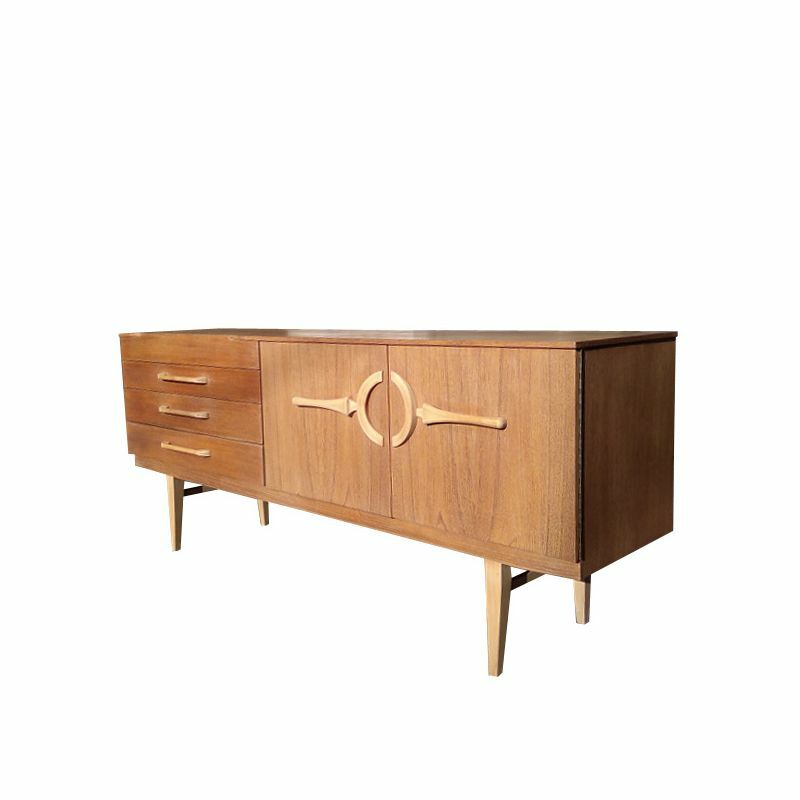 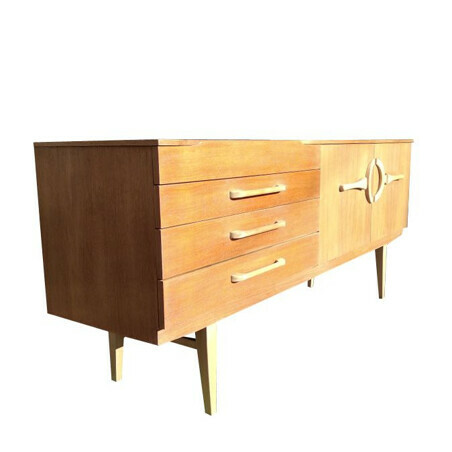 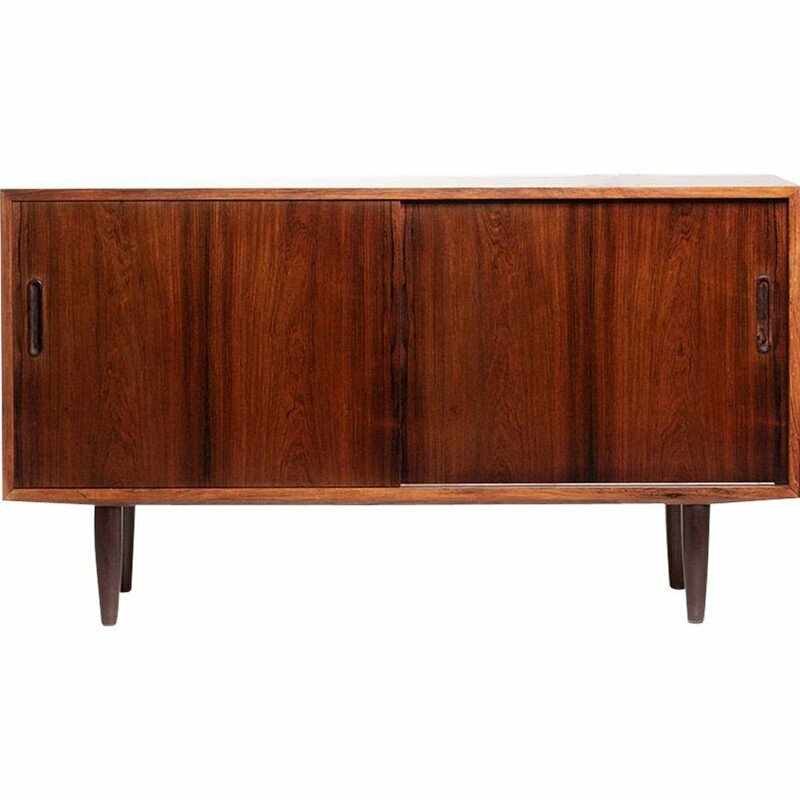 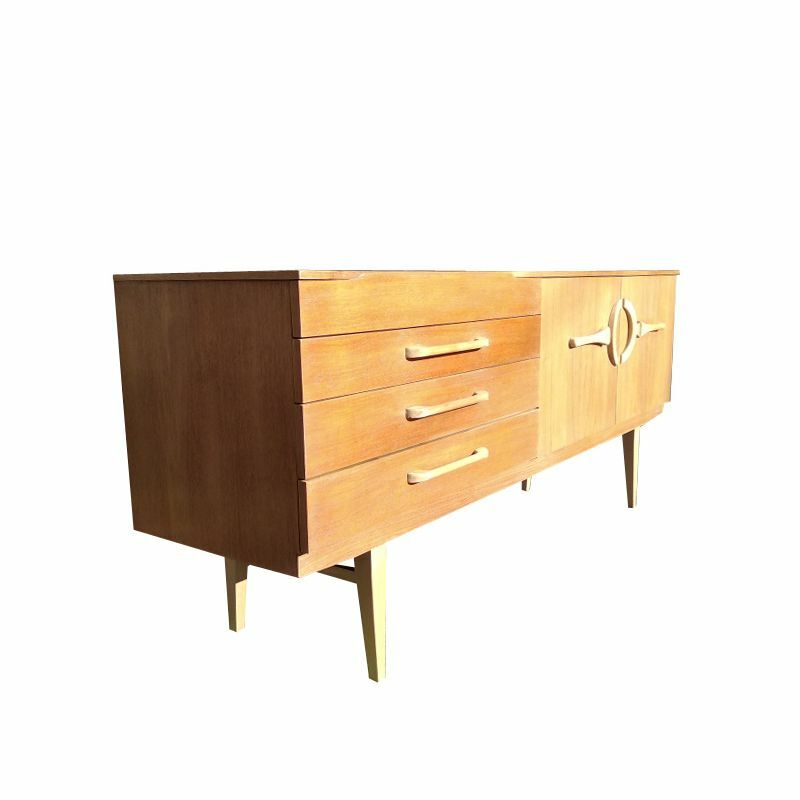 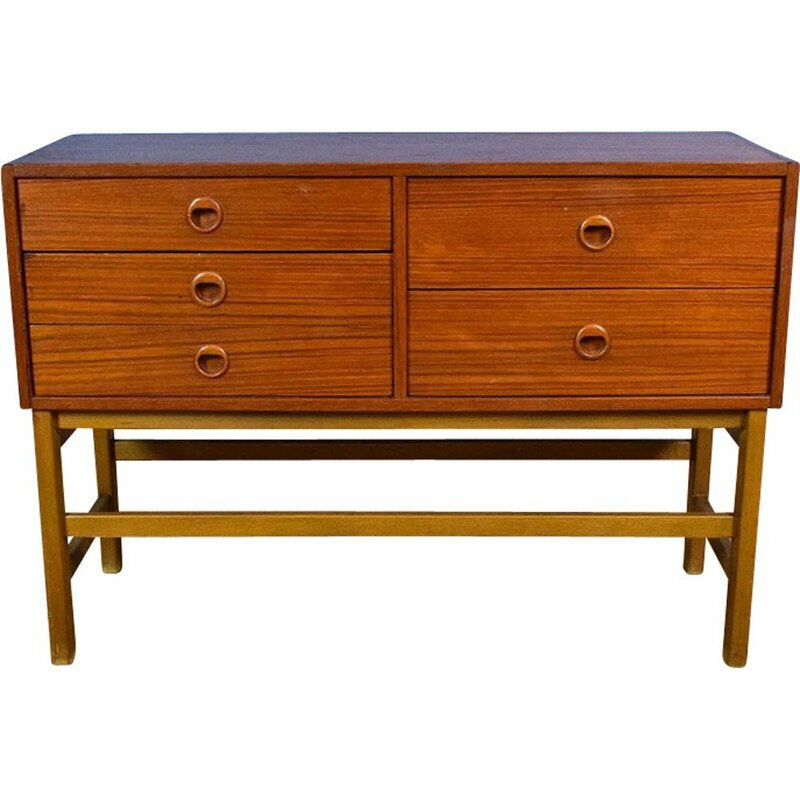 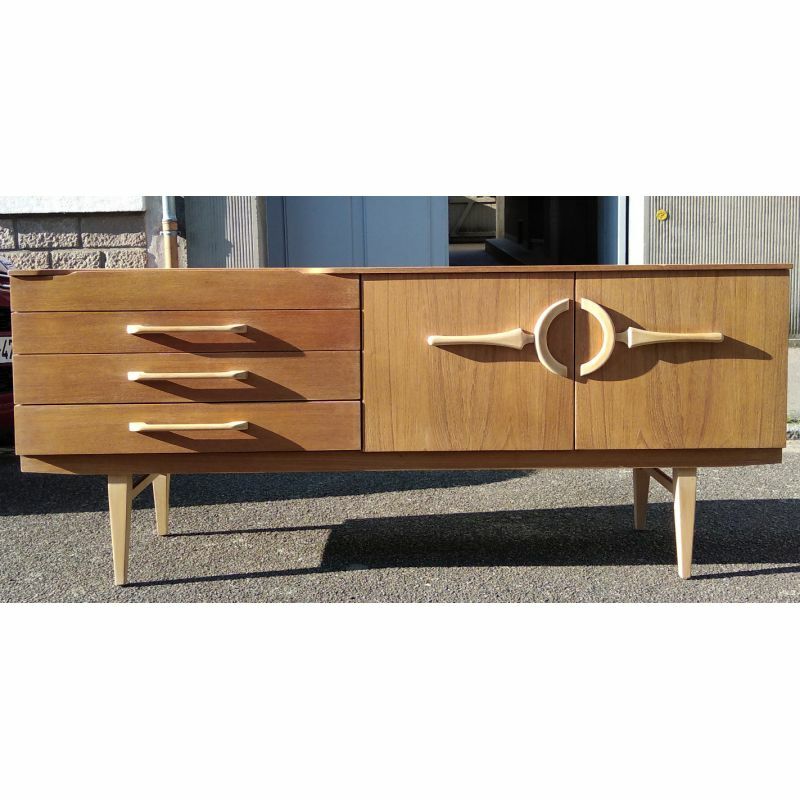 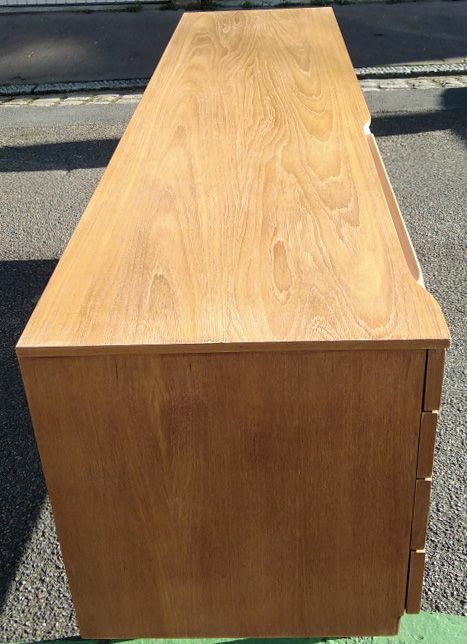 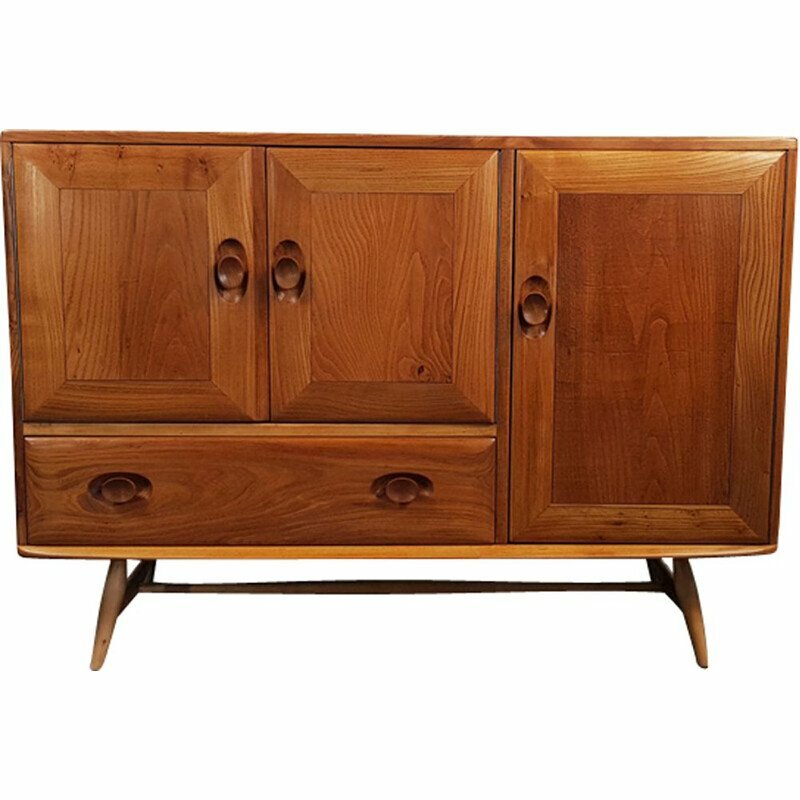 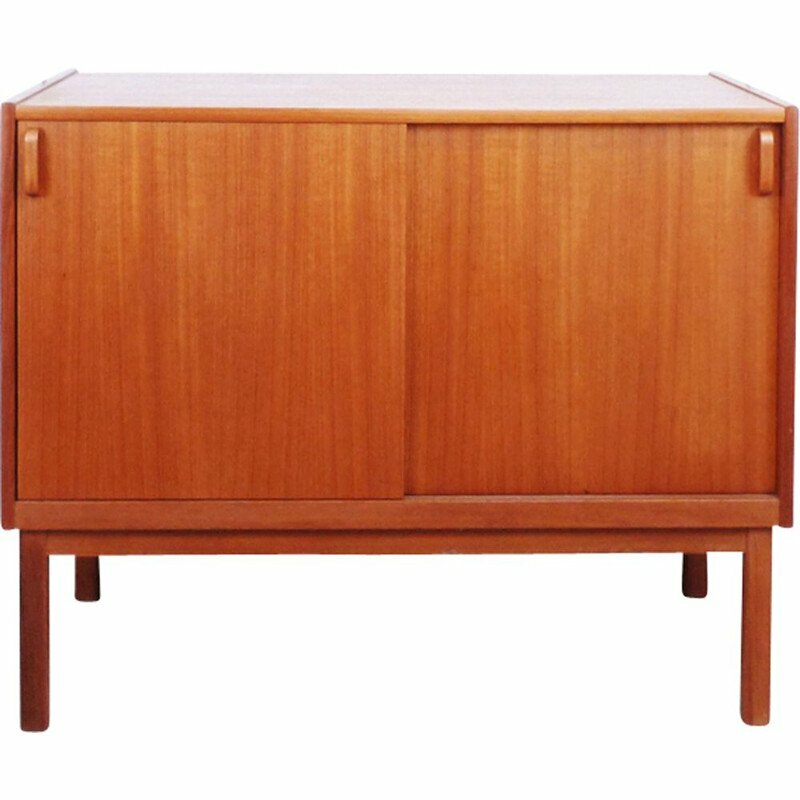 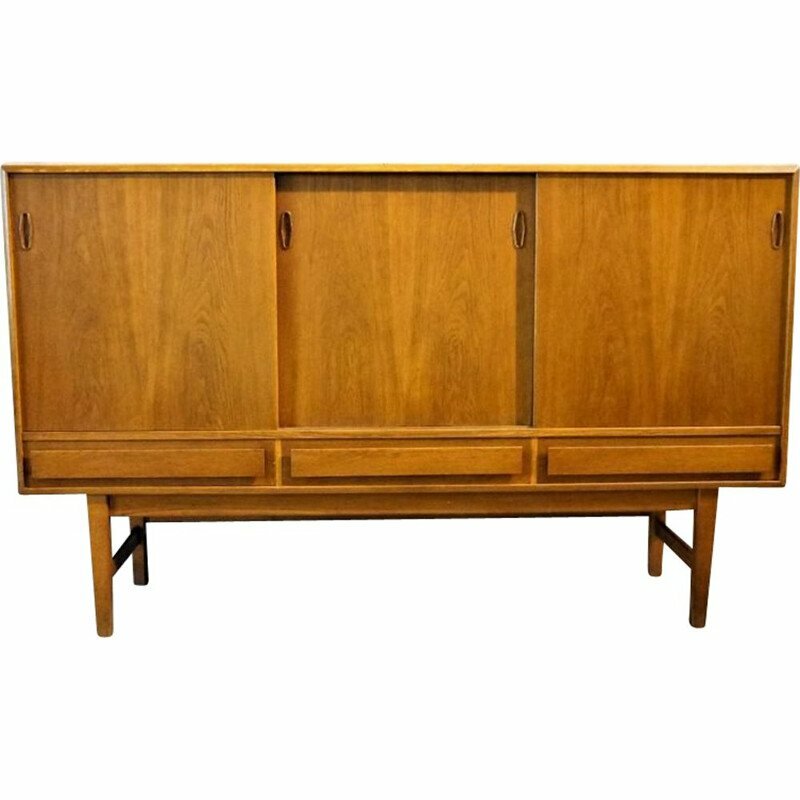 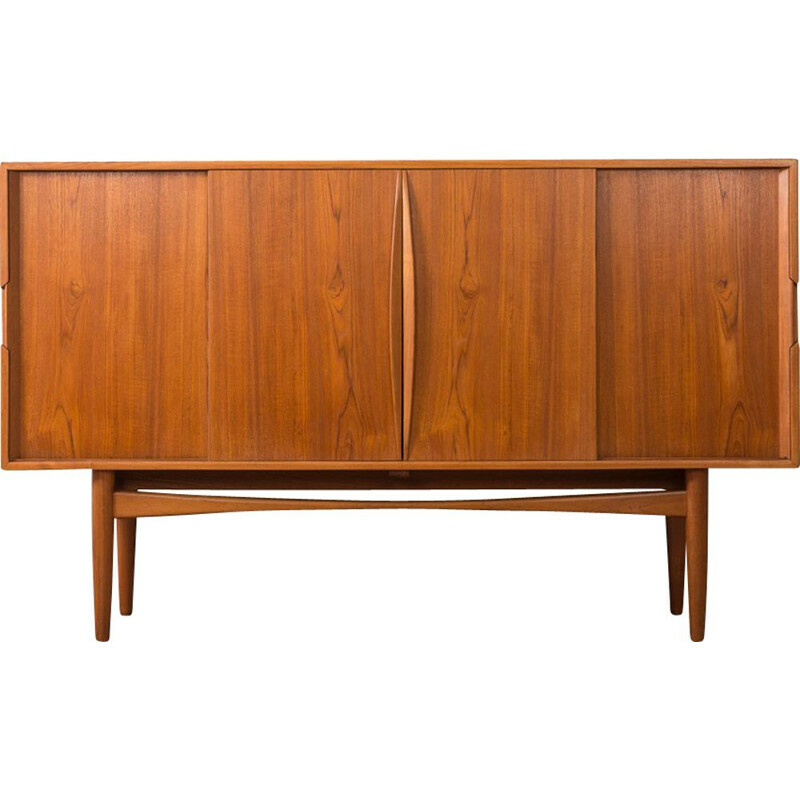 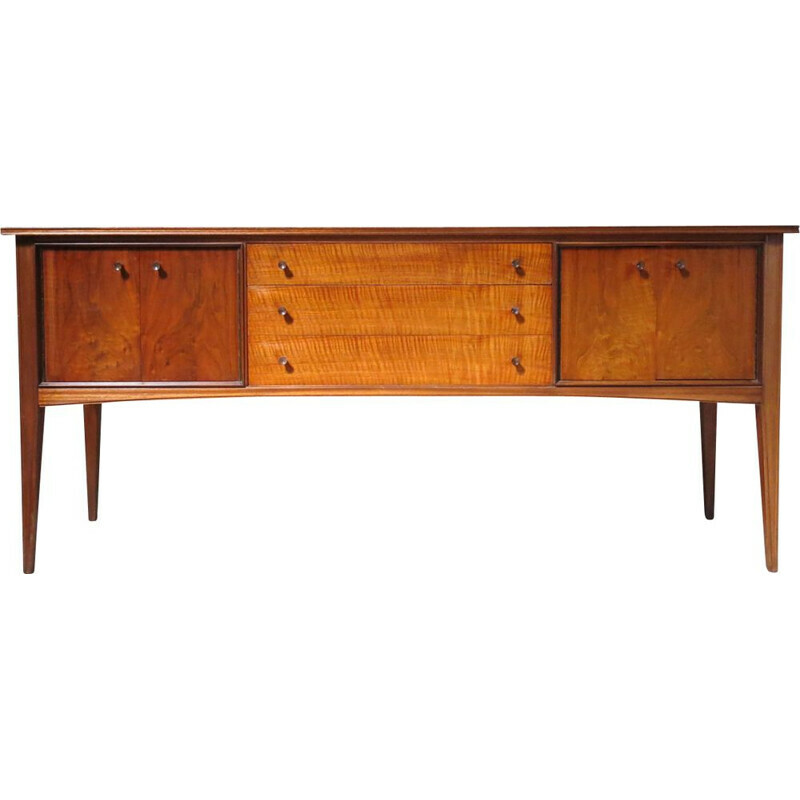 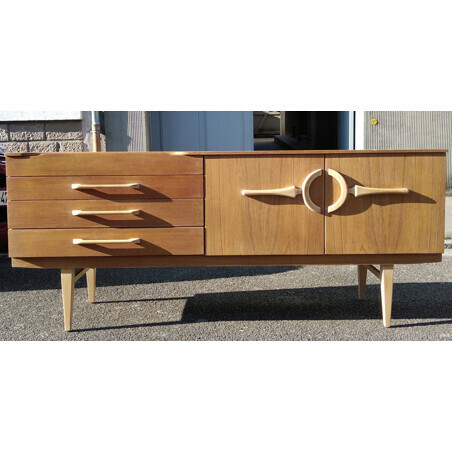 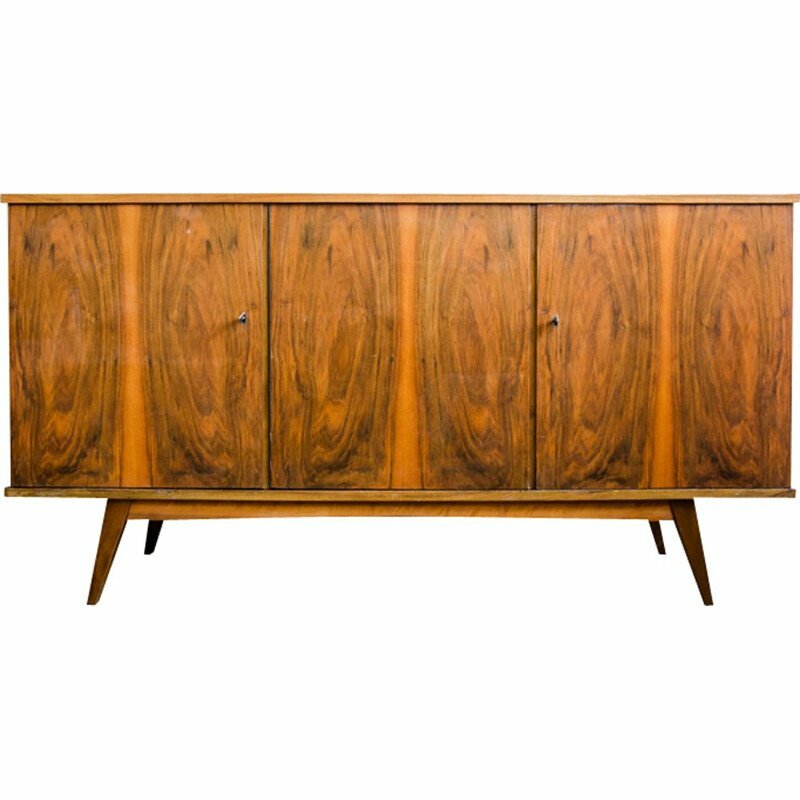 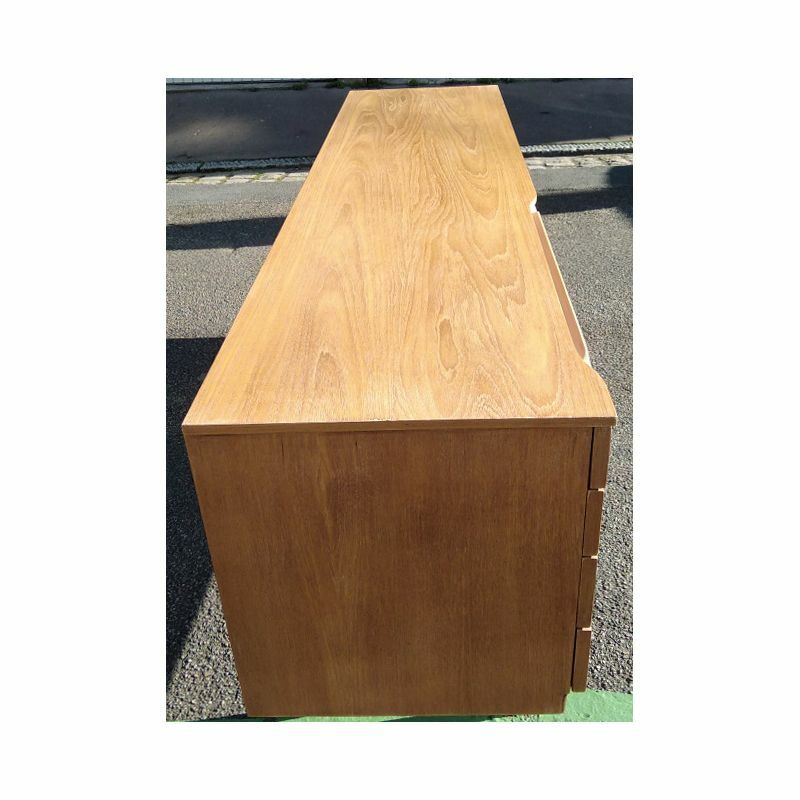 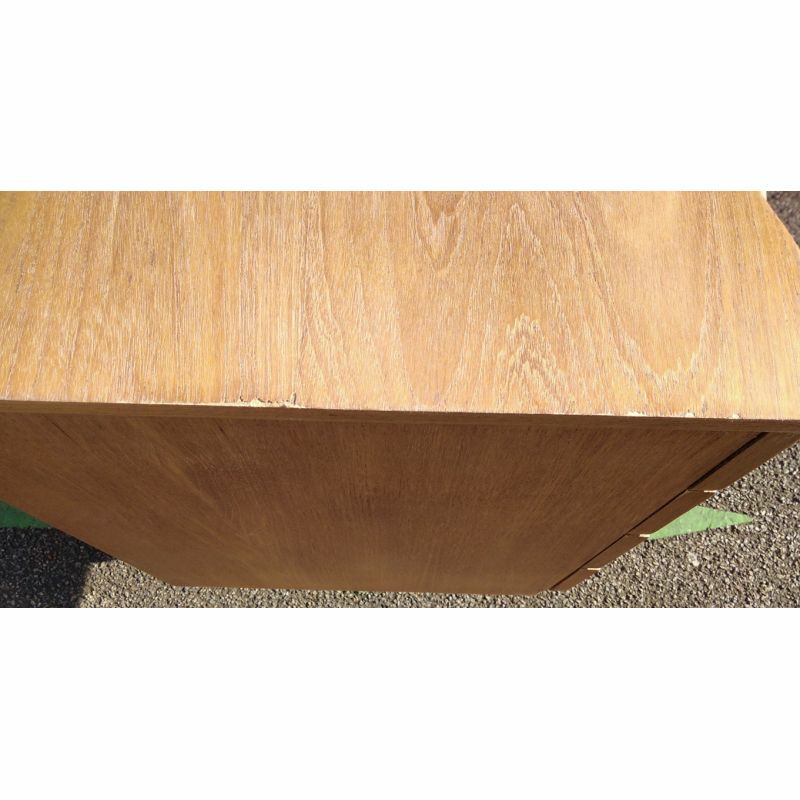 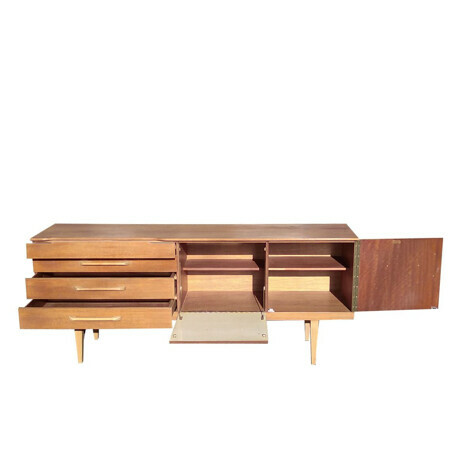 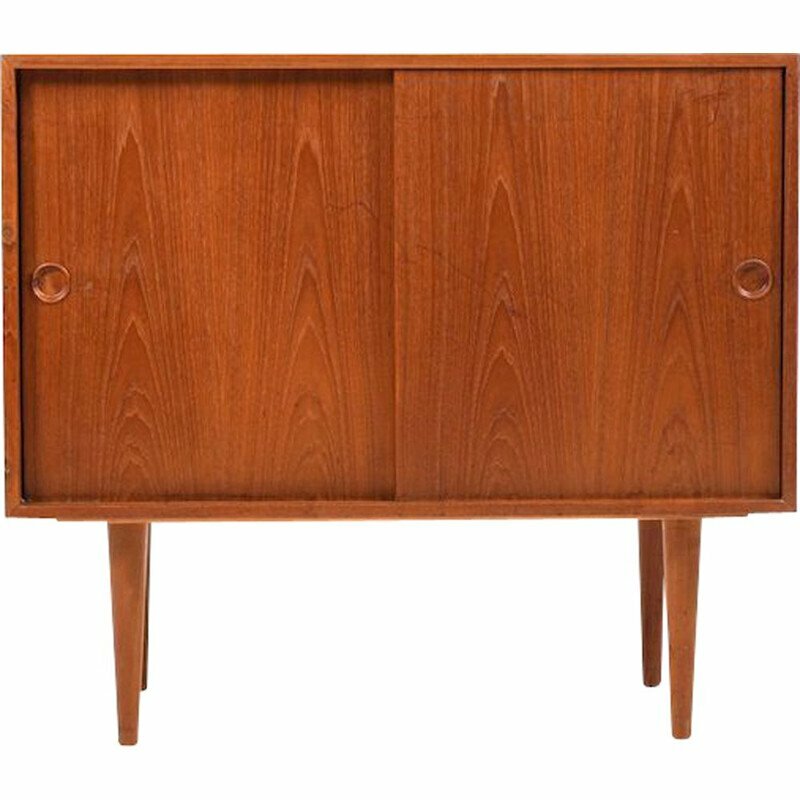 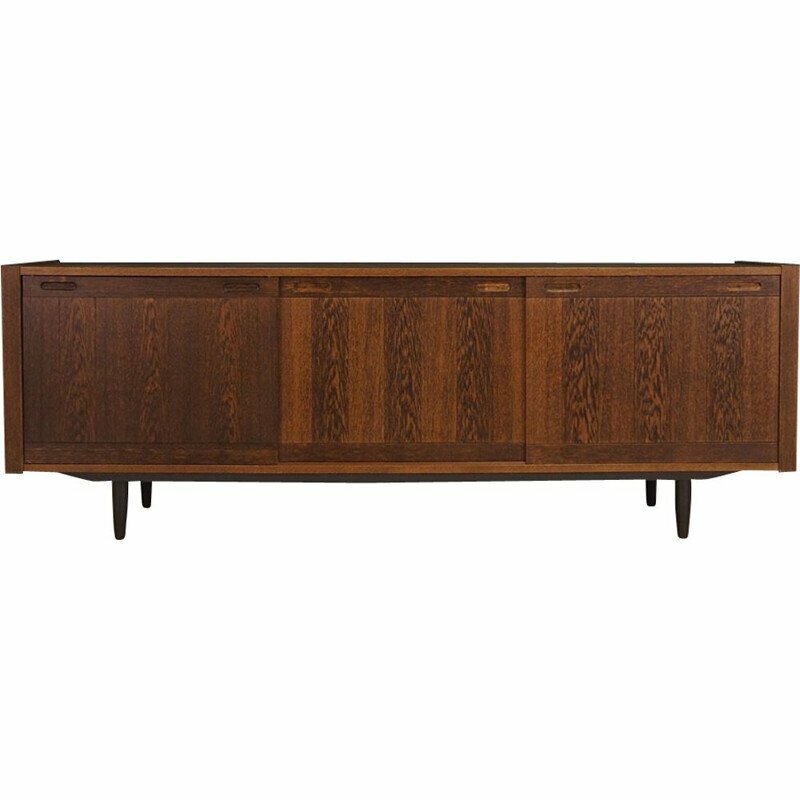 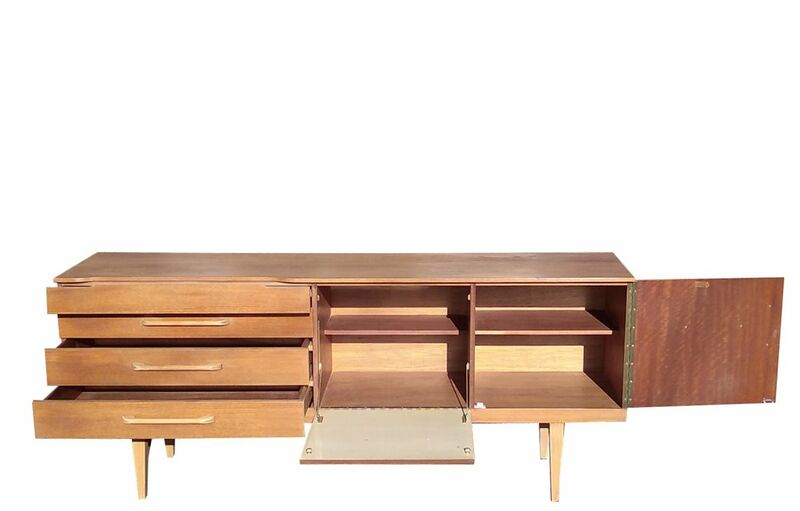 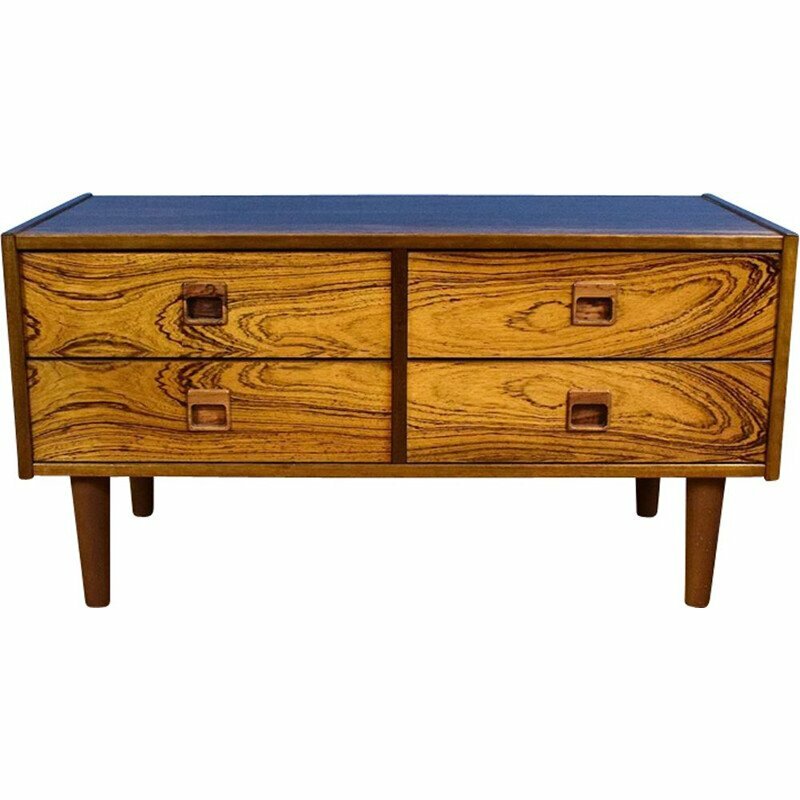 Vintage sideboard in clear teak. 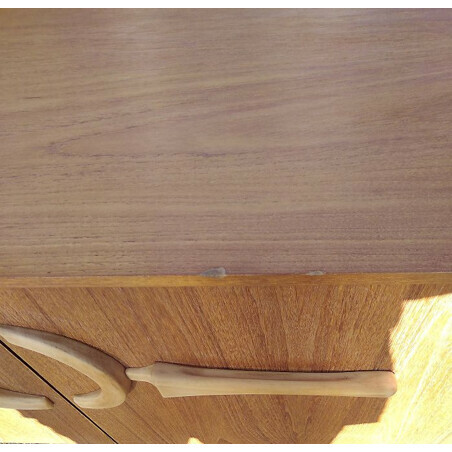 Original design of the handles that animate the façade. 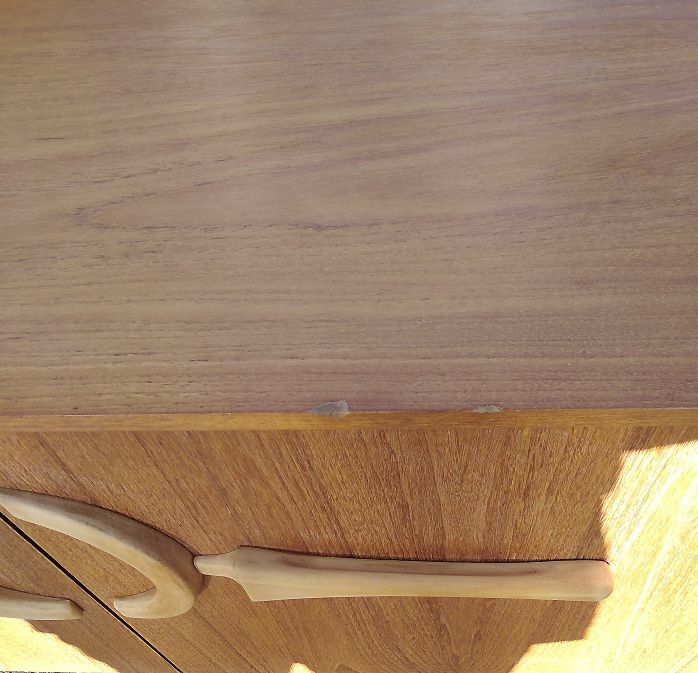 She has been completely sanded and waxed to find the light of the grain of the wood. 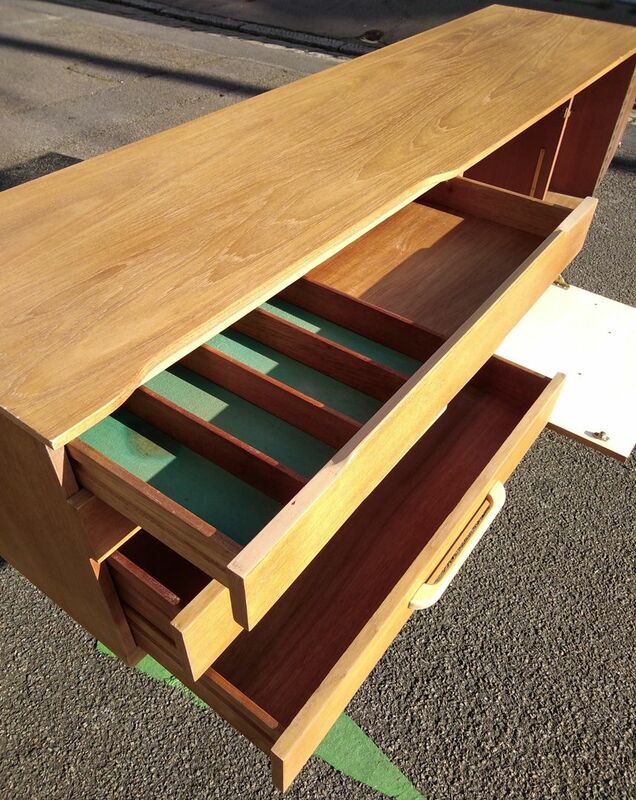 It opens has three drawers and 2 doors, Interior shelves. 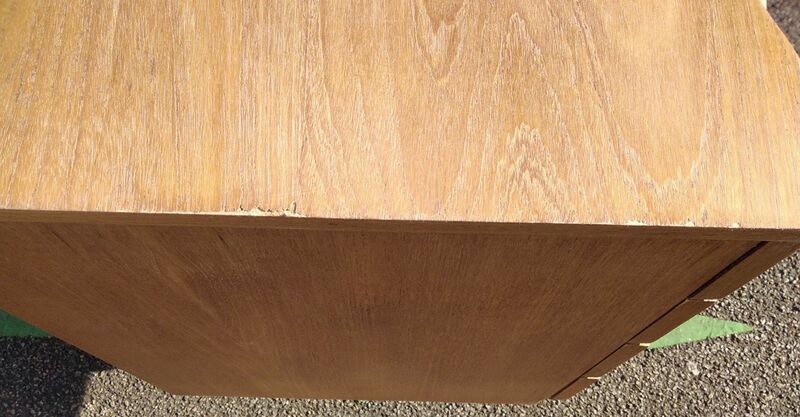 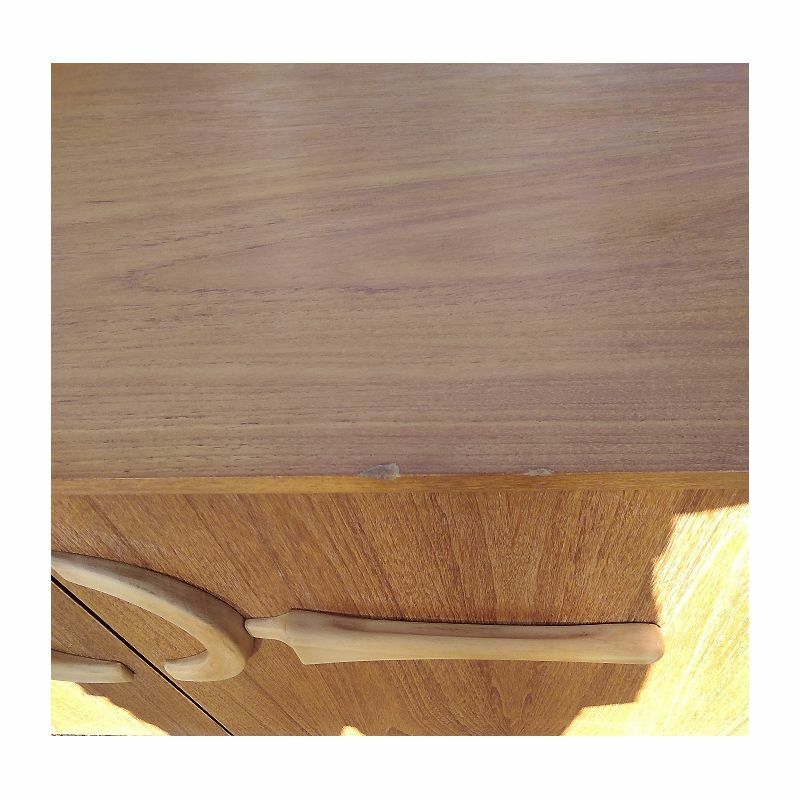 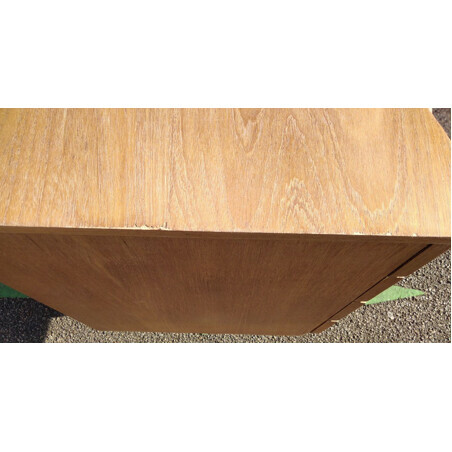 Note small gaps of veneer on the plate (see photos of detail).